Personal Protective Equipment (PPE) is there to protect workers from potential hazards to their health and safety; it must be used properly. However, the experiences of hundreds of women tells us that they have not been provided with appropriate PPE to carry out their jobs. 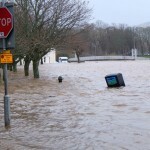 This is exposing women to several health and safety risks. 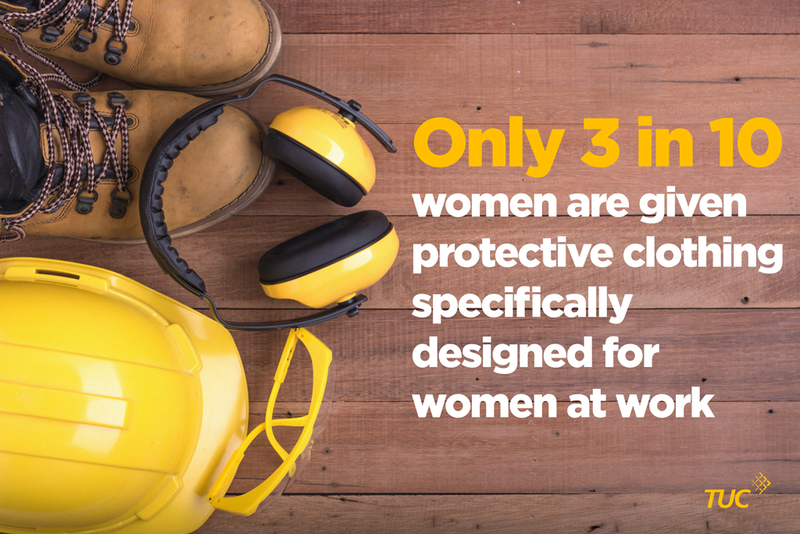 The TUC recently published a report on personal protective equipment (or PPE) and women. The report especially cast a spotlight on inequalities in regards to PPE, and the role of unions in narrowing the inequalities gap for women. This is because for too long we have rode on the assumption that it is mainly men who are at risk of health and safety risks, or in need of protection, given some of the usual sectors they work in: mining and construction etc. And due to this women have suffered from inappropriate personal protective equipment (PPE) at work. 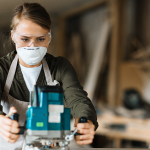 More women are entering into traditionally male jobs, in areas like construction, engineering and the emergency service – these industries are particularly at risk from inappropriately designed equipment, tools and Personal Protective Equipment (PPE). The TUC report indicates that less than 30% of women were provided with clothing or equipment designed for women. There are a number of consequences with the wrong PPE. Ill-fitting, uncomfortable and inappropriate PPE not only prevents women from doing their job, but also carries significant health and safety issues. An example is safety boots, as a typical woman’s foot is both shorter and narrower than a typical man’s foot, so a smaller boot may be the right length but not the right width. If she is not wearing the right equipment this will cause her potential injuries and impact her ability to do her job well. In a TUC survey, 57% of women stated that their PPE sometimes or significantly hampered their work. Women also found it very difficult to get suitable PPE during pregnancy. And its not just PPE, work equipment (such as desks, chairs, machinery and personal protective equipment) is mainly designed for the average-size male worker and takes little account of the ergonomic needs of women. This opens up women to risks of work injuries, manifested through poor working posture, and can lead to musculoskeletal disorders. The law puts in place certain safeguards to ensure that employers provide PPE to workers free of charge. This comes under the legal requirements in the Personal Protective Equipment Regulations 2002 and the Personal Protective Equipment at Work Regulations 1992. Employers should avoid suppliers who do not provide a range of sizes for both men and women and where they have not properly assessed their equipment for both men and women. Where the need for separate PPE for men and women is identified, the employer should make sure that they provide the same range of sizes for women as for men. Employers should provide feedback mechanisms for the suitability of PPE and work with health and safety representatives to ensure a correct range of PPE is provided. Worker safety involves a joint-effort. 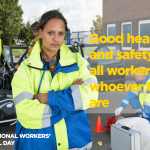 Union reps can be trained on the rights and legal issues, the employer must implement the law and the government must protect the rights of workers and not attack the health and safety protection afforded to workers. Raise the issue of gender and PPE with their employer through the joint safety committee and ask for a report on whether appropriate PPE is provided and worn. Survey women members to see if they have any issues with the PPE that is provided. Encourage members to report any issues around PPE to their manager and to the union. Don’t just accept it if your employer says there is no suitable PPE available to women. Work with other reps in other workplaces to share experiences of problems and solutions.